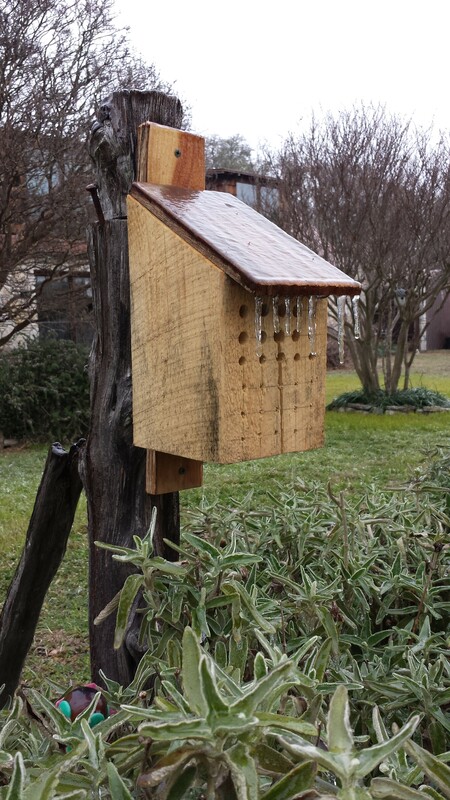 Follow up: we have donated native bee houses to Inks Lake State Park, to Balcones Canyonlands Wildlife Refuge, and to other parks in the area. We at the nature center have been busy building native bee houses! 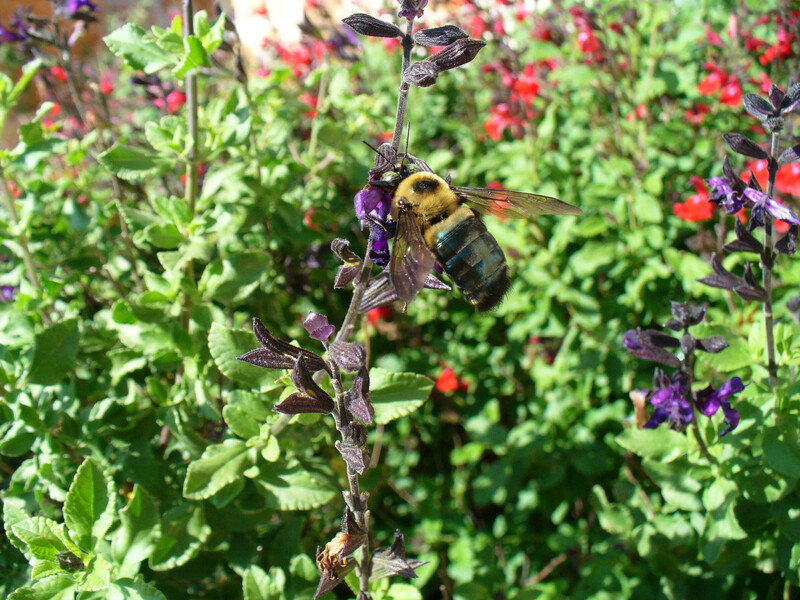 Ever wonder about the many insects that hover in and around your flowering plants? Well there’s a whole plethora of honey bees, flies, multiple native bee varieties, butterflies, and wasps. With the downturn in honey bee populations we are relying more on the native variety of pollinators. There are several things we can do to help them with habitat and therefore increase their chance of survival, and they are all fun and rewarding. First of all we can plant native flowering plants and provide water for their consumption Both of which we are doing at the Nature Center via our monarch waystation and demo garden. The third and most creative is to create habitat. Most of our native bees are solitary. Most nest in the ground but many nest in holes where they lay their eggs in a food supply to hatch on their own. We can build this habitat with very simple tools and recycled materials. The two basic styles are a block of untreated wood with many drilled holes for their use and the other is a structure that will hold tubes for their nesting. They can be quite creative ad add a piece of art to your garden. 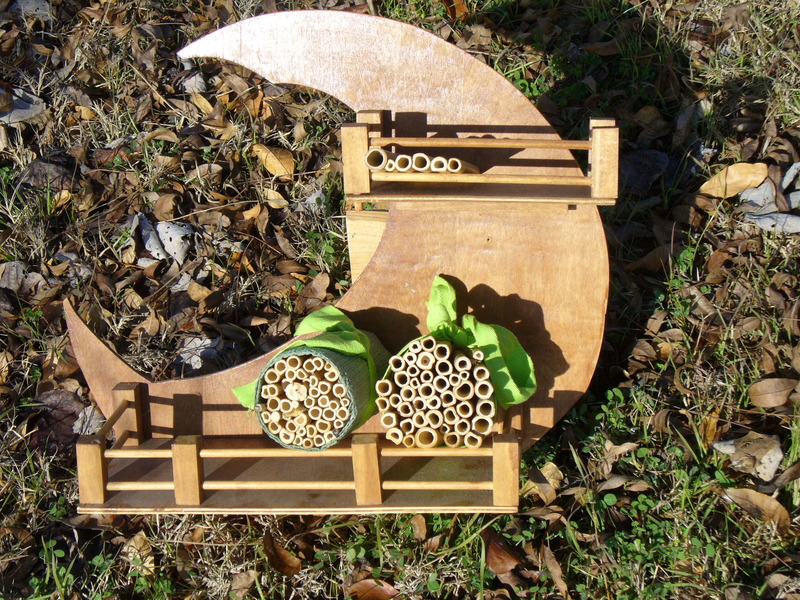 Using bamboo to create homes for native bees. You can get lots of ideas and dimensions by googling how to build native bee houses. I particularly liked these sites: Resonating Bodies out of Toronto, if you want to get fancy, there is Arups insect hotel from London, and for the woodworking crowd, foxleas has a simple bee_house design.